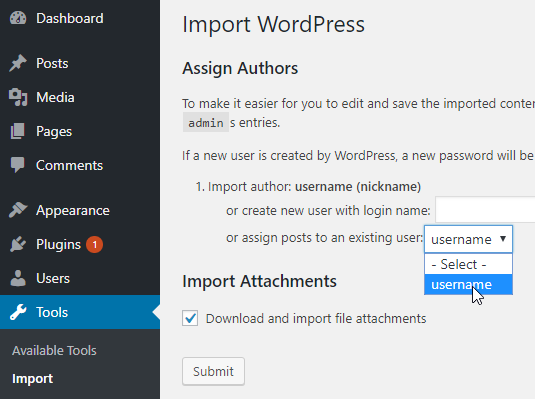 Migrating from Mousebuilt to stand-alone WordPress. 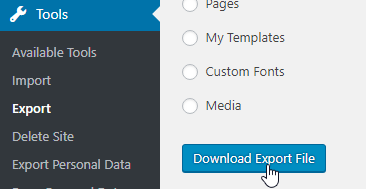 From the next page, select ‘Download Export File’. A copy of your site content will be downloaded to your device. Important: Take note of where this file is downloaded to. You’ll need to import it into your new site. 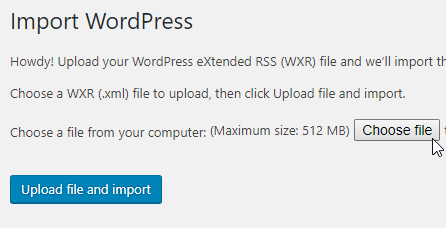 Log into wp-admin on your new WordPress website. 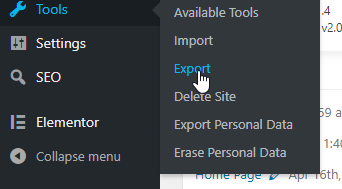 Select the ‘Choose File’ button to select the export file you downloaded in step 2. All imported content will be assigned to a specific use. Select the user you wish to assign the content to. Important: Ensure that ‘Download and import file attachments’ is checked! Click ‘Submit’. The process may take a few minutes. 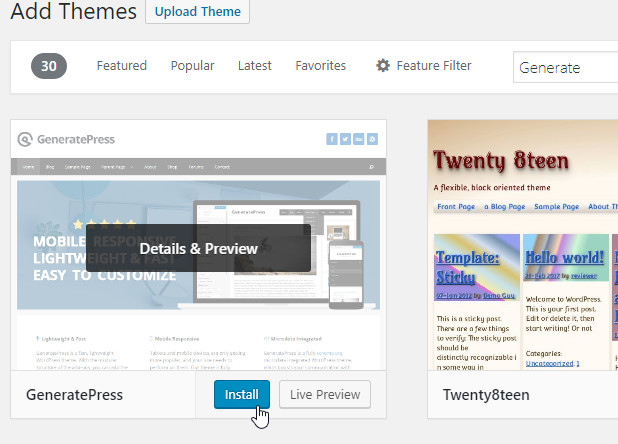 You can choose any theme you like from the WordPress library, but for the purposes of this exercise, we recommend you search fro and install ‘GeneratePress’ from this page. Hover over the GeneratePress theme icon and click ‘Activate’. Search for the plugin ‘Elementor’. Click ‘Install now’ on the Elementor plugin icon. Click ‘Activate’ on the Elementor plugin icon. If everything has worked properly, all page content should have been copied across from your old site. You’ll notice that the header and footer have not been copied over, as they are not included in the free version of Elementor. You can either upgrade to Elementor Pro (paid version), and follow their instructions for headers and footers or rebuild your header and footer following the documentation in your new theme.